The first 23 hours of my trip was spent on a plane, and in the airport. Being vegan, my food options were pretty limited. I had to pick around the meals that the airline served, and I was left pretty hungry. And a lot of what I consumed was complex carbs. So happy I had some healthy back up options in my suitcase. The foods I brought were inexpensive and filled with nutrients. 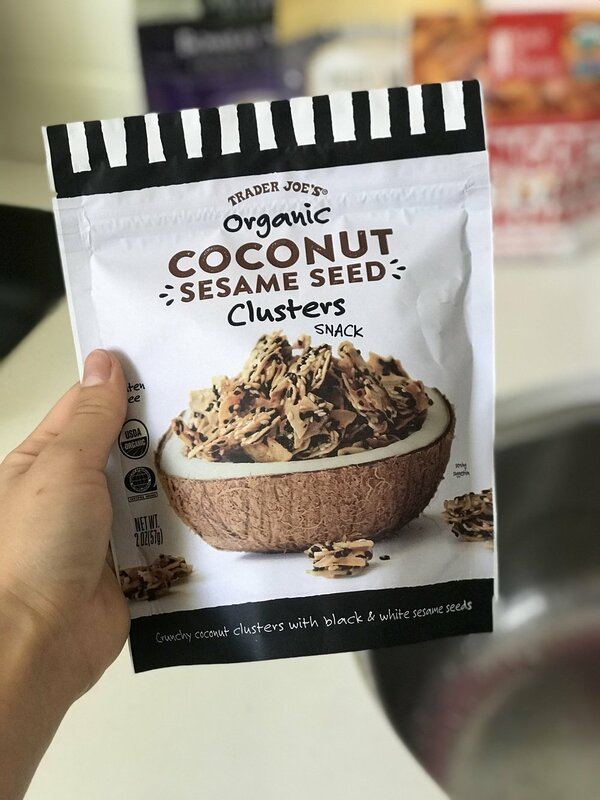 You can find these items at Trader Joe's and Sprouts. About an hour after purchasing my plane ticket I researched the water quality in Hong Kong. Water bottles aren't my favorite - and they can become quite costly if you consume as much water as I do. I discovered the water is considered safe with a filter, but I just wanted to take extra precaution. I did not want to be sick the entire time. lol Searching the internet I stumbled across a product called LifeStraw. This company creates a filter that makes contaminated water safe to drink. It removes 99.999999% of waterborne bacteria and parasites. I've even seen videos of people using their Lifestraw products in really dirty creeks. And the bottle is BPA free. I was sold! I purchased a bottle and it definitely came in handy. I brought it everywhere I went and refilled whenever necessary. I may have packed light for a week long trip but there is absolutely no way I was going to sacrifice my skin care routine while out of the country. Although traveling regulations can make it difficult to bring all your goodies - I was able to pack my favorite necessities. Before packing I took a trip to Daiso and purchased various travel size bottles to fill my products with. de Mamiel Cleansing Oil - I wanted to bring a nourishing balm cleanser that would keep me hydrated - as I tend to get dryer while traveling. Earth Deo/Alba Cleansing wipes - Earth Deo to keep my underarms fresh of course. I brought Alba cleansing wipes for my lazy cleansing nights and also kept them in my bag to wipe my underarms toward the end of the day, leading into the night. I would re-apply my Earth Deo and I was fresh for the entire night. Healing Crystal Toner - This item was very important. The air quality in Hong Kong is pretty terrible so I needed to freshen my skin throughout the day. The Healing Crystal Toner absorbed all my excess oil and worked it's antibacterial magic. Shea Terra Carrot Seed Oil - After many years of trying several SPF creams followed by break outs and irritated skin, I was lucky to stumble across carrot seed oil. It naturally carries an spf 20. I used this oil daily as my sun protection. unMask(Calm) - My weekly exfoliant. I definitely had to make sure I removed all the dead skin from the extra dirt and debris in the air. unMask(Clarity) - This small jar provided 2 uses of unMask(Clarity). That was the perfect amount for the week. Another item that came in handy is my new jade roller pictured above. I found this on Hollywood Road in Hong Kong. There were several unique vendors carrying authentic antiques, crystal jewelry and asian decor. I've been wanting a jade roller for quite some time so I was fortunate enough to spot one on my second day. I kept it in the fridge and used it in the morning to improve the penetration of my serums, soothe inflammation and calm the puffiness under my eyes. Outside of walking a few miles around the different cities everyday, I had a set work out plan. I am on a 4 week program with the Nike Training Club App. This gives me a daily guided work out created for my fitness goals. And guess what? It's totally free! Side note: I found out the day I was leaving that Hong Kong has NTC meet ups. I religiously attended the Los Angeles,Ca work outs before they ended. Very bummed I couldn't experience it in a different country... Anywho, all you need is a gym or open space. No equipment necessary. I utilized the gym when I was staying in a hotel and when I moved to my hostel on the fourth day I completed my work outs at a nearby park. These are my travel tips and I hope I was able to help prepare you for your next adventure. Above all, when traveling, be present. Embrace the fact that you are able to get out of your comfort zone and gain new knowledge and experiences. This brings you to a state of gratitude which will always lead to bliss.